Our gorgeous Heirloom embellishment are a combination of rhinestones, pearls & ruffled lace which makes for an exquisite piece. 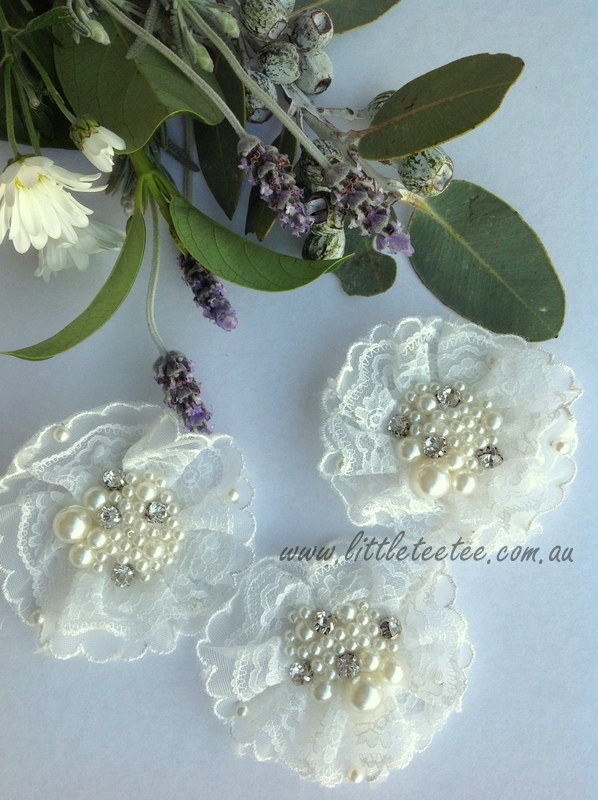 Perfect for bridal wear, sewing crafts, headbands, brooches, home decor and more. They are flat-backed with felt, ready to be sewn or glued onto your desired product. 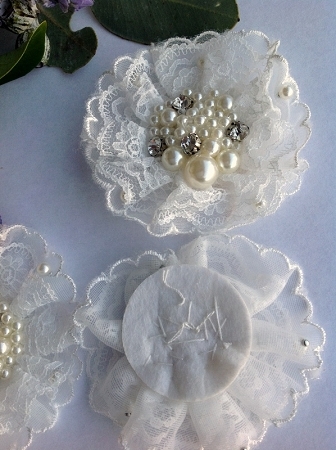 Each pearl & diamante has been carefully sewn onto the applique to keep them in place. Colour: soft ivory. Now available in peachy/pink as well. Rewards points discount is available for full-priced merchandise. Postage added at check-out - $3 for standard post / $8 for tracked post. All orders over $50 have a capped shipping of $3 and receive free tracking service.